A dear Marathi user YEAR 2017 is Coming, We Are Again celebrating the end of year 2016. Every New Year comes with the joy and with happenings. Celebration and joy begins with the ends of old calendar and beginning of the new Calendar. Here in this blog post we are giving you updates on the top Marathi Calendars to buy on Year 2017. Coming year 2017 is somehow the numeric combination 2 + 0 + 1 + = 10. No ten is the double and Number 10 is combination of 1 + 0. According to the scientific calculation no 1 is treat as a Positive sign and No 0 is negative. Will have both Sorrows and Happiness in the year 2017. 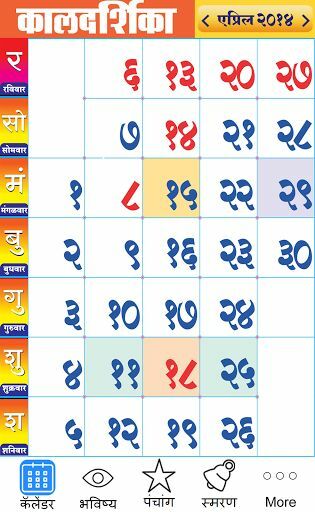 Below we are giving the Top Marathi Calendars to buy in the year 2017. 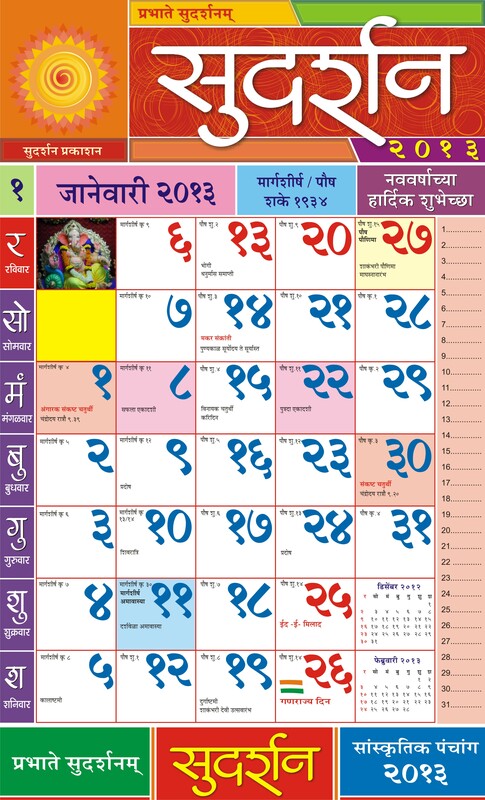 This is great Marathi Language Calendar and Sold mostly in Maharashtra. Every Year It Publish in the month of December. Its Also Know for the Bhagyoday Warshik Panchnag . You Can buy This Calendar from Local Shops in the month of January and February. Its a publication of the Deshonnati Marathi News Papers. Deshonnati News paper also Famous for the Printed Media. You will get Few copies of this calendar and will Available for the Few Days in Month of January and February. For more information you can visit there official Website Digital Edition. 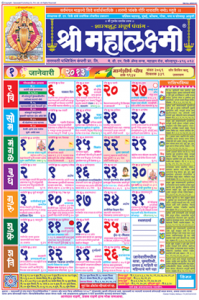 Shri Mahalaxmi Calendar is old and Most selling Calendar in Maharashtra. 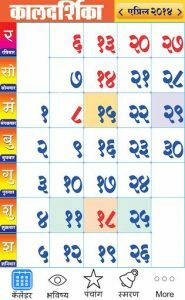 This a leading Calendar of the Maharashtra. Like all other almanac this also publish in December and Most sell done in January. 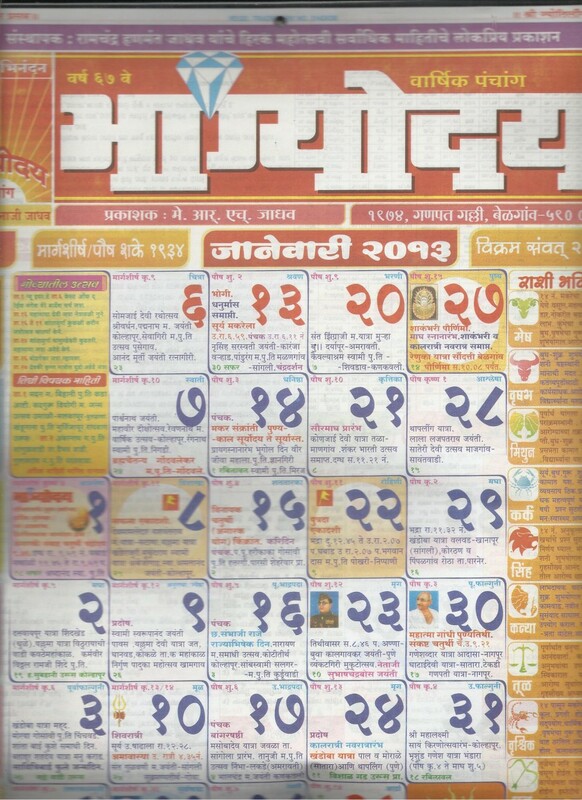 Kaldarshika is the Publication of the Lokmat which is know for the Lokmat almanac. This is famous in Nashik, Pune, Nagpur, Amravati, Bhandara. Its a part of Lokmat New papers and you will Get this calendar for few days for Free. If you lokmat Paper reader Then you will get One free copy. 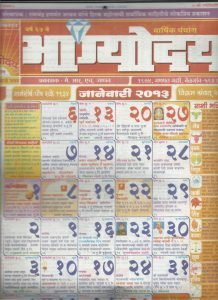 Sudarshan is also the good option for Marathi readers and its also the old Calendar in Maharastra. Your website i always inspiration to others. this is great site for latest updates on horoscopes and Calendars. You are providing the exact information about the calendars and rashi bhavishya. I like to visit this site everyday. Please update Latest Calendars. we need to have calendars for year 2017 at our home. Dhanyawad Vipin sir for visiting our website. your feedbacks are valuable to us. we will update you soon. your new look of the site is great. i like this design. 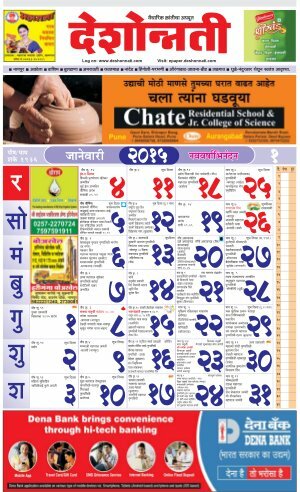 kindly share your printed edition of lokmat calendar if you have. we require lokmat calendar. Dear sir we will update you soon. Thanks for visiting marathi calendars. Dear Team you have not mentioned Kalnirnay As best calendar to buy. kindly update kalnirnay here. Kalnirnay is world largest selling calendar in Marathi language. why kalnirnay is not in your list? please update kalnirnay also.